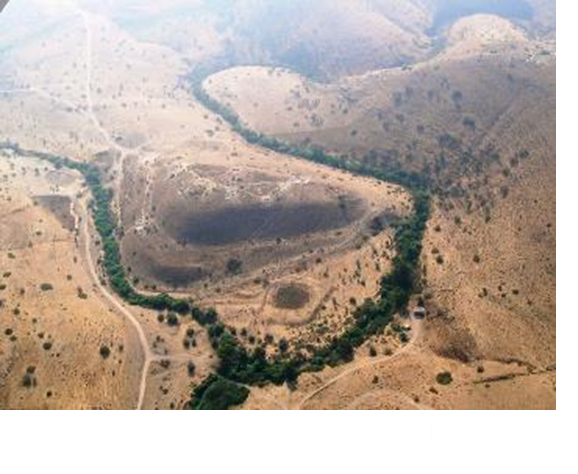 In August 2017, the eleventh season of excavations was conducted at Tel Rekhesh (License No. G-73/2017; map ref. 243776/728600). The excavation, undertaken on behalf of Tenri University (Tenri, Japan) and Rikkyo University (Tokyo, Japan) and underwritten by Mishima Kaiun Memorial Foundation and Grant-in-Aid for Scientific Research (Kakenhi; A–Subject No. 17H01640; B–Subject No. 15H05165; 17H04527) and Grant-in-Aid for Young Scientists (B; No. 17K13573) of the Japan Society for the Promotion of Science, was directed by H. Kuwabara (Tenri University), S. Hasegawa (Rikkyo University) and Y. Paz (IAA). The expedition included M. Aviam and T. Yamano (area supervision), H. Hashimoto, N. Yamauchi, H. Tsumoto, T. Hirakawa, R. Iwamoto and H. Hino (surveying and photography), S. Miyazaki and T. Onozuka (registration and find processing), A. Kanto (archaeomagnetic analysis), Y. Drei (preservation) and Z. Gal (administration). The excavation was conducted in cooperation with an academic team from Switzerland, headed by M. Fidanzio and D. Hamidovic. The 2017 season concentrated on the full exposure of the synagogue that had been discovered and partly excavated during the 2016 season. 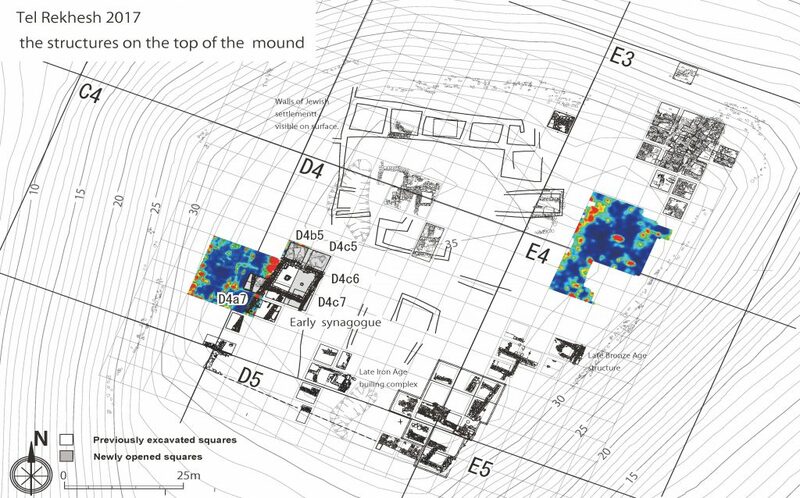 Another aim of the current season was to identify remnants of structures that had been detected to the west of the synagogue by a GPR survey during the 2016 season (Fig. 1). One of the season’s achievements is the reconstruction of the whole plan of the Jewish synagogue dating to the first–second centuries CE. Another achievement was the identification of architectural features that predate the Iron Age IIC building complex at the northwestern side of the higher mound, and rock-cut installations that predated the synagogue and should possibly be related to the Iron Age.